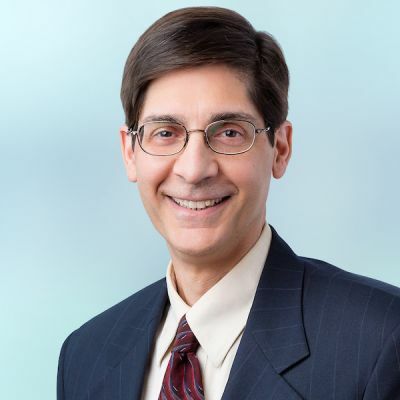 Frank Baldino is an estates and trusts attorney who helps people throughout the greater Washington, DC area protect assets for their families and future generations through careful estate tax planning. If Frank weren’t an attorney, he would have been a professor. While he relishes researching a novel tax issue, he loves translating complicated tax concepts into easy-to-understand options for clients even more. Frank works closely with accountants and financial advisers to provide comprehensive planning advice to protect the assets his clients have accumulated and also minimizing federal and state tax liability. His calm and friendly demeanor encourages clients to think about the sometimes challenging and emotional aspects of planning an estate – from making end-of-life care decisions, to ensuring a surviving spouse can live comfortably, to providing for children in the event of a parent’s death. With precision and detail, he then prepares wills, trusts, and other estate planning documents that reflect each client’s desires. In addition, Frank is experienced in the areas of charitable giving, tax planning with respect to retirement plans and stock options, business succession planning, and estate and trust administration. Washingtonian and Bethesda magazines have named Frank a “Top Lawyer” and The Best Lawyers in America directory recognizes him in the field of trusts and estates law. Frank is one of only 18 attorneys in suburban Maryland to be elected a Fellow of the American College of Trust and Estate Counsel based on outstanding reputation, exceptional skill, and substantial contributions to the field.